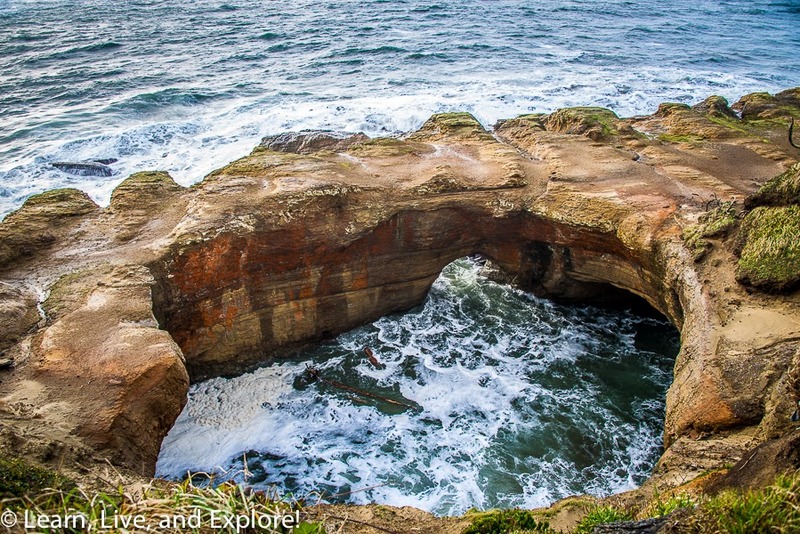 Photographing the Oregon Coast ~ Learn, Live, and Explore! 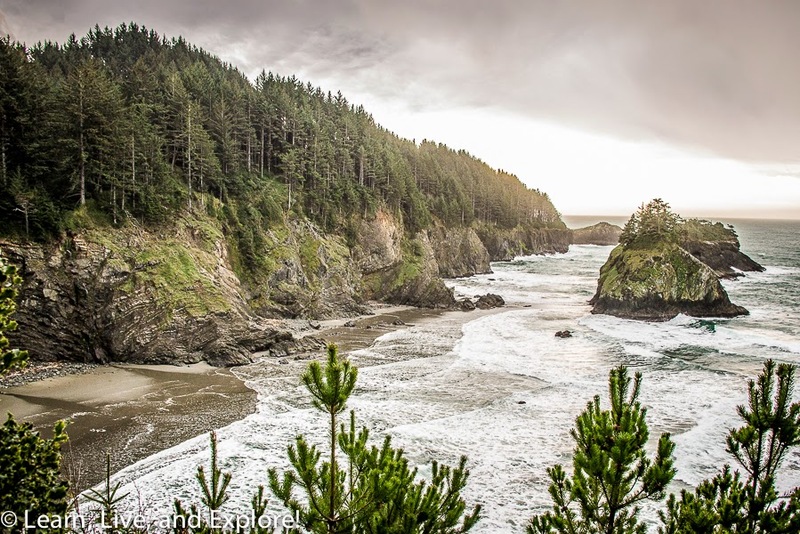 The Oregon coast is a beautiful stretch of the western coastline of the United States. Not surprisingly, with Oregon's rainy reputation, the weather can be very temperamental and ruin photography plans. So, it has taken me a few tries to get these photos, and while I am not 100% satisfied with the results and want to return to some spots to try again, I think that they still provide great visual representation of the regional features. Of course, I am very happy with the glowing sunset on Haystack Rock in the photo above. It is one of my favorite photos, and I have it hanging on my wall at home. 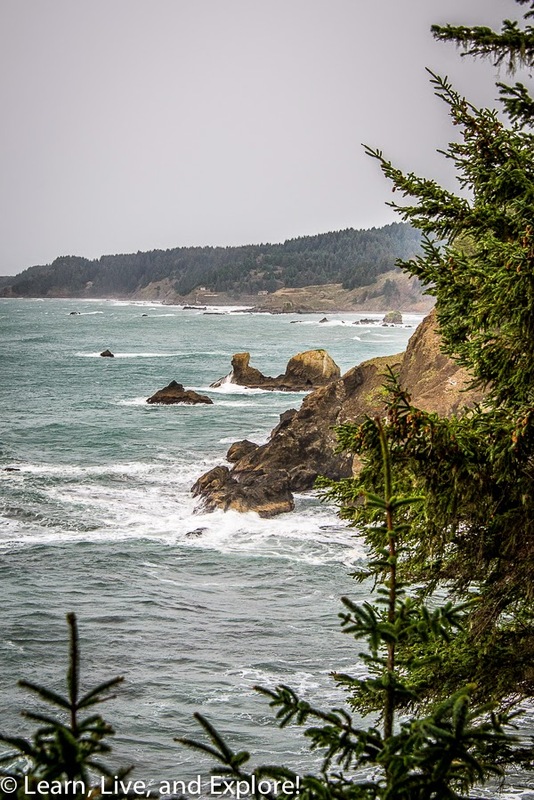 Just north of Lincoln City is Devil's Punch Bowl State Park. There is a great ocean well cut-out that is visible from the viewing area next to the parking lot. I had some neutral density filter problems on this shot, so I didn't get the long exposure I was hoping to achieve. 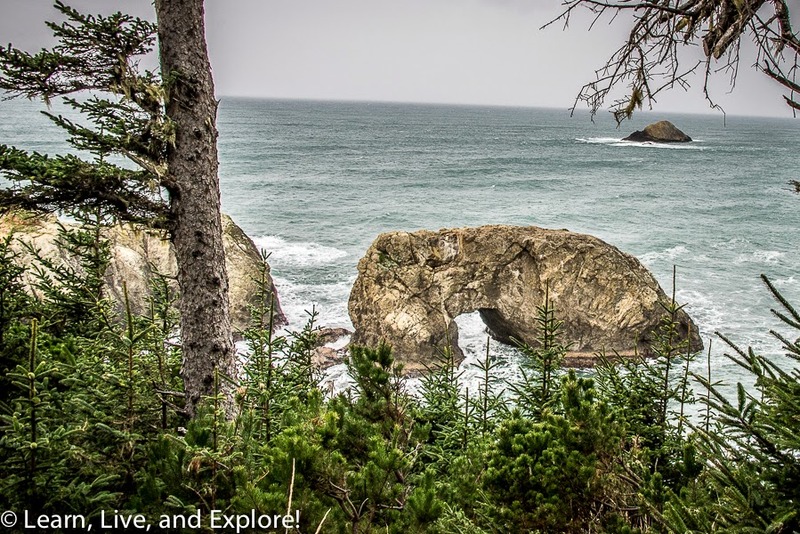 Seal Rock is a small town south of Newport that is the location of a grouping of large rock formations that, with a little imagination, look like giant elephant seals. 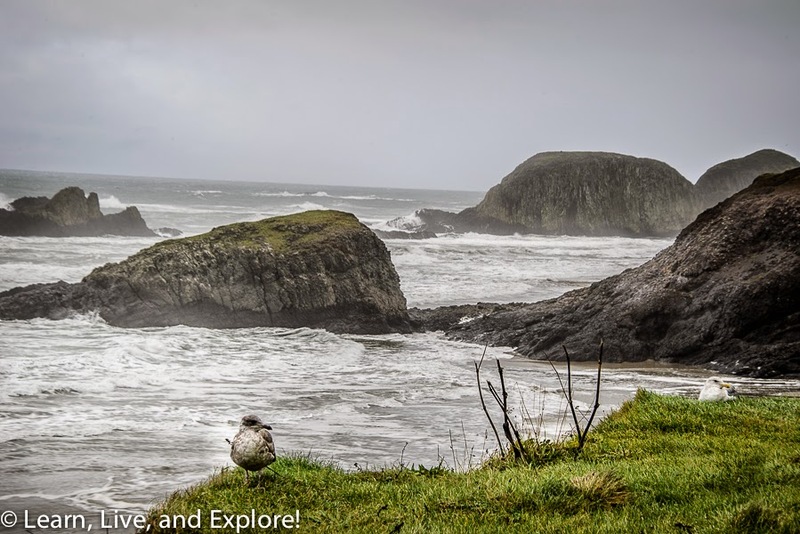 The photo, while not ideal, still captures a typical day on the Oregon Coast - lots of grays and greens, with some mangy seagulls to add to the image. 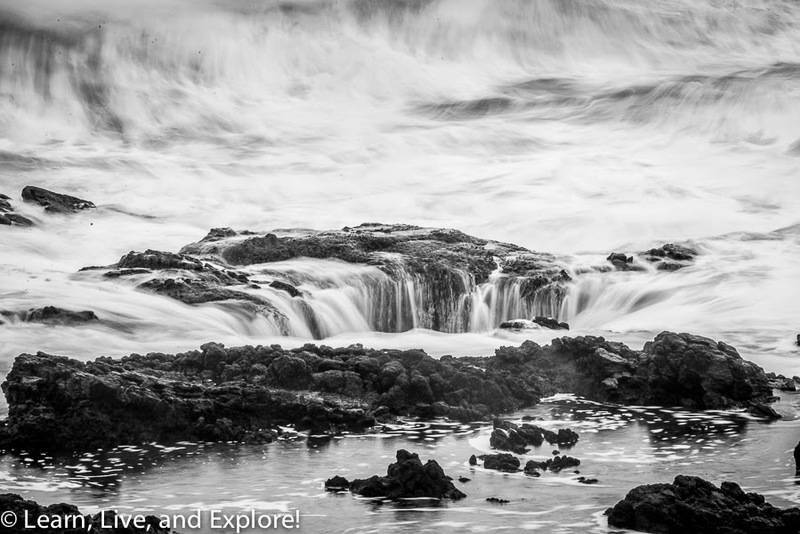 And now the infamous Thor's Well off Cape Perpetua. This is an often photographed salt water fountain best seen at both high tide and sunset. This is a spot I will have to revisit because not only was high tide nowhere near sunset that day, but it was storming and the water was wild. It still made for a photo full of movement, but I resorted to making it a black and white image to compensate for my dissatisfaction with the grayness of the day. 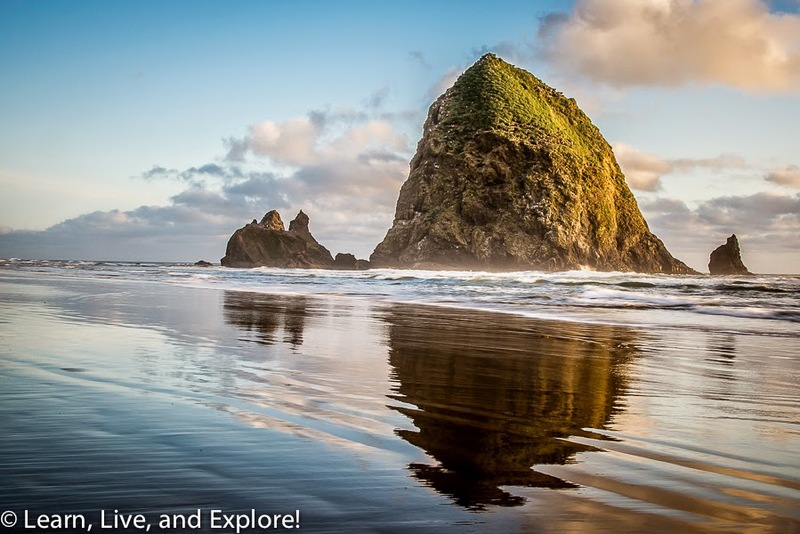 Finally, here are a few images of the Oregon Coast that highlight the great rock shapes formed over thousands of years from ocean movement and the beautiful evergreen trees that line the shore. And, not surprisingly, gray skies in every one of them. Oh Oregon, you have not changed one bit since I grew up there; and, while I miss some things, I certainly do not miss all that rain!